The loss of an eye can be a very traumatic experience. The greater part of our identity is associated with the way that we look and the emotions related to the face are greater than the emotions tied to any other part of the body. 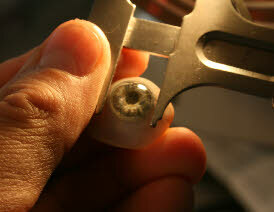 Raymond Rendon and staff are dedicated to providing the finest quality Ocular Prosthetic Service. We have been providing Custom Ocular Prosthetic service to the San Francisco Bay Area since 1991 and are highly skilled in the fitting of full thickness artificial eyes and Scleral Cover Shells which are fit over disfigured eyes. We treat people with compassion and provide an environment of emotional support that helps to minimize the trauma associated with losing an eye. The ethnic diversity of the Bay Area requires more than just the ability to make and fit artificial eyes. It also requires the ability to understand the language and heritage of prospective patients. At Rendon & Associates we speak several languages and are better able to address the unique cultural needs of our patients. This ability is unique to our office and helps to facilitate an environment of understanding. We are also the only Board Certified Ocularist with offices on the Peninsula and in the South Bay Area. Unfortunately, anyone can say that they are an Ocularist. Even those with inadequate or limited training. To ensure that you or your patients are cared for properly, make sure that you use a Board Certified Ocularist that is a graduate of the education program of the American Society of Ocularists. 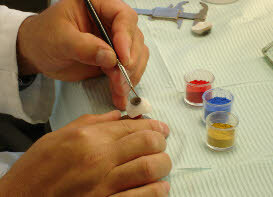 Certification by the National Examining Board of Ocularists is the North American standard for proficiency in Ocular Prosthetics. We pledge to provide the highest level of care using the most up to date technology, materials and procedures available. 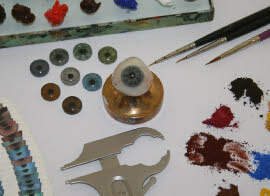 The Rendon group takes pride in treating all patients equally, with compassion and understanding and our sensitive approach to making and fitting artificial eyes will help to minimize the trauma associated with losing an eye. Although there have been numerous advances in the field of Ocular Prosthetics, the most important element is still the relationship between the Ocularist and patient. Your comfort is our most important consideration and our caring and understanding approach to the eye fitting process ensures that your experience with us will be a positive one. Please call our office if you have any questions about the services that we provide or if you would like to schedule a FREE CONSULTATION.